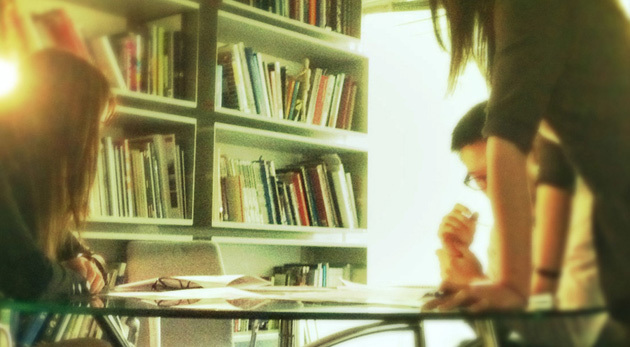 Design knowledge or design, communication and culture? "The problem with any debate over design is that the intellectual resources with which the debate is typically engaged are themselves located within the field, and the competing definitions of design is the terrain over which struggles are fought and the resources used in those struggles. Each actor (or in this case, each designer) engages in these struggles and does so from a position within the field; each has a situated viewpoint and this viewpoint shapes the analysis of the field (Bourdieu, 1983). Thus, there is a need to be able to view the field afresh, from a perspective that is not associated with any specific position within the field but rather objectifies the field. This is not to argue for an 'ultimate–truth' perspective, but rather to suggest that, in order to be able to analyse the debates, one needs specific kinds of tools. Designers work with knowledge to 'do' design. When analysing the field of design the object of study has now shifted: it is not the design object but knowledge itself as an object that is being studied. For engineering a bridge, engineering knowledge is valuable; for designing a house, architectural knowledge is valuable. For analysing knowledge, a theory of knowledge itself is valuable." 2). Carvalho, L., Dong, A. & Maton, K. (2009) 'Legitimating design: A sociology of knowledge account of the field', Design Studies 30(5): 483–502. "The interest and use of interactive methodologies continues to grow among artists, curators and funders. Yet, each artistic discipline and even each individual artist uses an independent language for describing interactive works. There is currently no commonality between these languages. Architecture of Interaction is a project realized by a group of five artists and theorists who have set out to develop a communicatory toolbox that can be useful to talk about and compare the processes, meanings and effects of interactive work, especially the parts of interactive work where no outcomes or precise outlines can be defined. 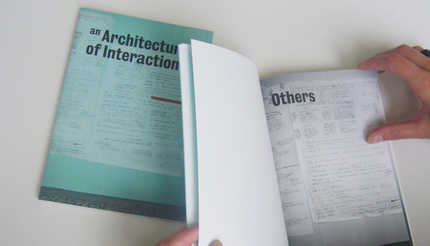 Architecture of Interaction really came from a desire to connect vocabularies, to develop a more sophisticated discourse and to share the eclectic and hidden ideas and processes involved in interactive works from various disciplines from theatre, music, dance, film, visual arts, performance to new media. The main idea is to make interactive working methods more tangible and discussable first of all between other artists from very different backgrounds, but the project also gives a resourceful insight into the tricky zones of interactivity for critics, curators, commissioners and interested audiences."